Christmas is more than just a holiday where you give out and receive gifts. It’s also a time to relax with your family with some home entertainment. Since it’s also the Christmas season, it’s fitting to enjoy some movies with a Christmas theme and there are tons of films focusing on the holiday season. Home Alone 2 : Lost in New York – the film is still fun to watch even if it’s not Christmas. Home Alone 2 is not necessarily heart warming but a fun film to enjoy with the kids because of its slapstick adventures. Santa Clause – Tim Allen replaces Santa when he fatally injures the jolly guy. His transformation from a simple, unwilling man to a lovable Santa is fun to watch and kids will surely enjoy the message. · Elf – This may not be the best film of Will Ferrell but it’s certainly one of the most memorable especially for Christmas season. 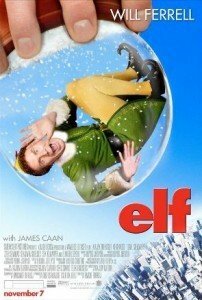 Ferrell plays “Buddy” the Elf that was accidentally brought in by Santa in his carriage. Also featured in the film – the sweet voice of Zooey Deschanel. · A Charlie Brown Christmas – this simple animation about Christmas shows why Charles Schulz is a genius when it comes to retelling even the most obvious things in Christmas. Scrooged – this 1988 film is a smart retelling of “A Christmas Carol”. This is one of the films that cemented Bill Murray as a true Hollywood actor and not just another comedian. Of course, the story is still there to provide the moral lesson. Christmas is a wonderful period of gathering all together and watch movies. One of the most unforgetable moments it was, when i was 10 years old and all my family was gathered together after the Christams day and we were wathcing Home Alone2. What amazing moment, watching a christmas movie with the people that you leave and outside snowing!